Would you be surprised to know that even mobile games can be story-driven? It‘s not as common as in PC or console games, it‘s still catching up, but some developers believe that well-written narrative in mobile games can give an extra kick by making them more engaging, and eventually boosting some extra profit. It is true that lots of gamers just enjoy relaxing, shooting and letting off some steam after work, and don’t care too much about narratives. But in reality, the best video games ever to be made are mostly story-driven and full of characters, multiple plotlines, various dramatic twists and other elements that provoke an emotional response. Storytelling is one of those ancient crafts that has survived several millennia, and will likely continue to exist as a pinnacle achievement of human civilization. Over the years media has changed and diversified, technology has evolved, but people‘s craving for good stories still remains. Narratives are kind of a slippery slope in the sense that most people view mobile games as stress relievers. You‘ve probably seen that – somebody gets bored on the bus, takes out a phone and starts slashing, shooting, bombing and scoring until it‘s time to get off. These casual gamers usually don‘t want to be bothered by narratives and riddles, so layers of complicated writing could seem like a huge turn-off for somebody who just seeks to relax. Does that mean that people hate storyline games? Absolutely not. 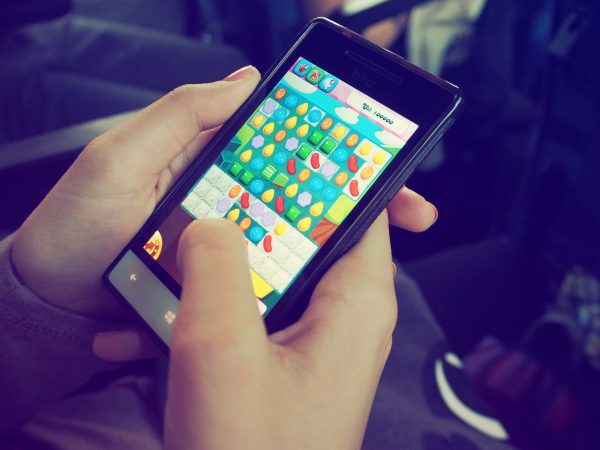 Actually interactive mobile games are on the peak and generating huge sums of money. Some companies have noticed the potential and started focusing solely on story-driven games. 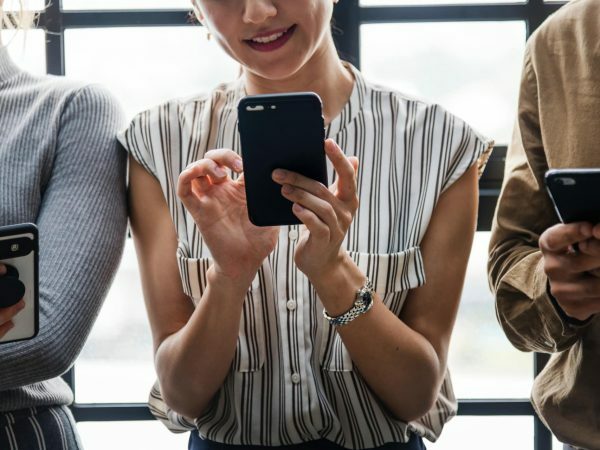 What is happening is that mobile game dynamics are rapidly changing, and developers noticed that stories hook people and keep their attention. If you play your cards right, proper storytelling can dramatically change the way people view games, plus give a solid business boost. We are not saying that mobile games must have story. Most have none and get by fine, earning a sizeable profit and scoring high ratings. But good, well-balanced story games are just way more exciting.They have that extra flare people so crave in life. Story writing is not a one size fits all case. 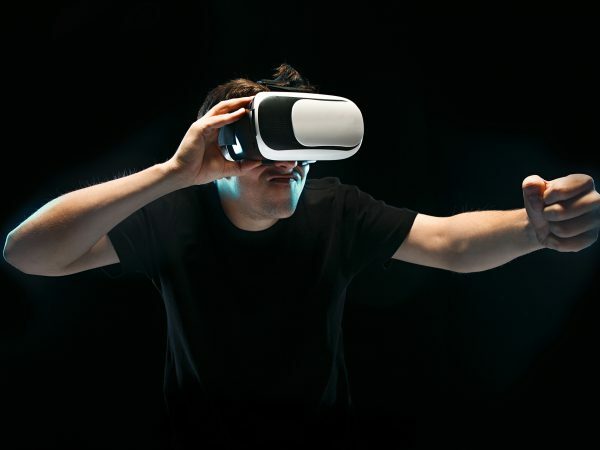 Just like movie scripts and novels have different requirements, same goes for games, and especially games that are often played on the go, on small screens, usually on breaks, on the bus, before going to bed, or while waiting for a friend in the mall. You can’t write huge blocks of text for mobile games, because visual media doesn’t work that way, and it even more so won’t for somebody looking into a small screen. Storytelling in mobile games is all about organically engaging players without making them feeling stressed, slowly revealing content in smaller bits through game surroundings. 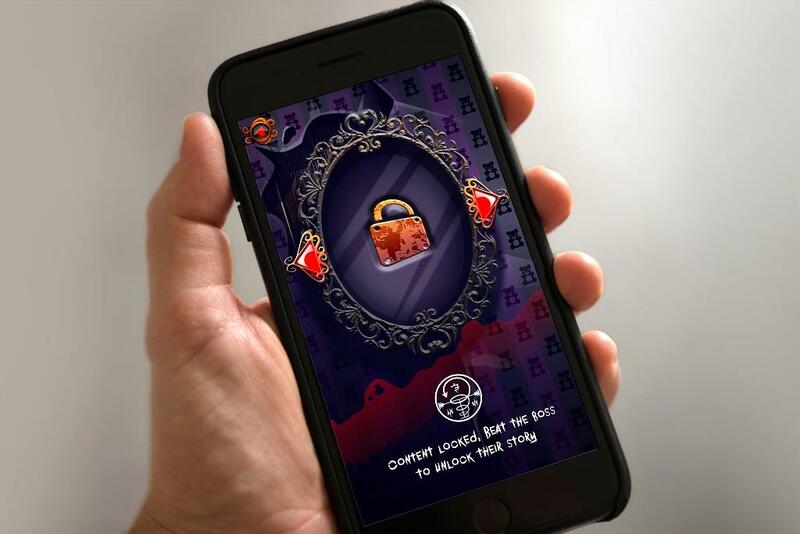 Think of mobile games as sightseeing Paris for yourself, instead of reading about it online. So, let’s talk about what makes story games catchy. Writers usually have to consider plot, dialogue, characters, environment and even certain atmospheric aspects of the game. 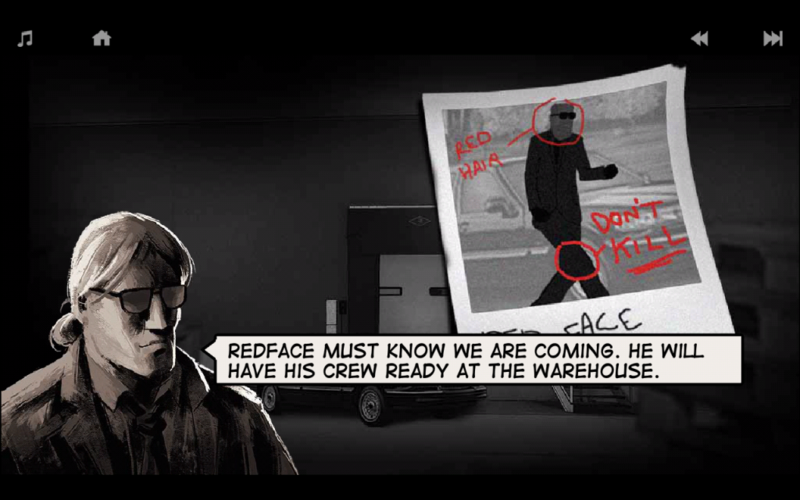 A very good example of a successful story-driven mobile game is the neo-noir shooter Lonewolf. In the game you play as a sniper assassin that carries out various contracts and gets tangled up in a widespread criminal conspiracy. It’s all made in black and white, gritty, dark, with comic book style cutscenes reminiscent of Max Payne games. Every cutscene is short and has some kind of intriguing dialog that makes the story go forward. The rest of the game is about carrying out your duties as an assassin. So, what makes this game good story wise? First, it is well-written and not overrun with dialogue. Second, there is healthy balance between story and action – the pace of the game doesn’t let you get bored, and leaves enough time to dive into the narrative. The story escalates quickly, but not too quick. There are lots of missions, moral dilemmas surrounding the games, lots of plot twists, but nothing gets too monotonous. The success of this game basically lies in good pacing, and subtle storytelling. This way the player doesn’t get the chance to get bored – instead receives a healthy dose of action and narrative. 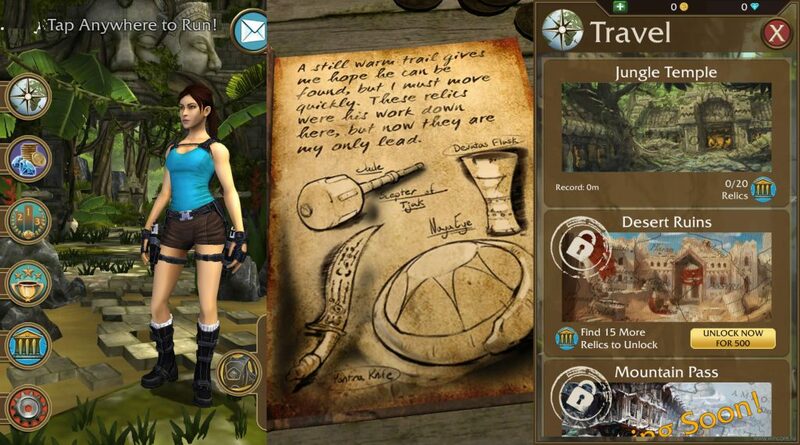 Same goes for the game Lara Croft: Relic Run, which is maybe not as rich in story as Lonewolf, but it has enough to leave you thinking “what the hell is happening here?” You have to find out what happened to your friend while collecting relics, running, fighting monsters and avoiding death. Storytelling in this game works like glue that binds together the worlds Lara travels, and gives some additional meaning to every action you undertake. Plus, storyline games are a great way to hook people on buying various in-built objects for Lara to use, so storytelling is also a great business strategy. Courage: A Horrifying Adventure is also a great example of gameplay that’s been enhanced by a simple, yet intriguing story. In the game a little girl named Tracey goes into the basement to search for her mom, while encountering horrific monsters that try to stop her. The gameplay on itself eventually could end up being monotonous, but this is where visuals and bits of narrative balance it out perfectly into a fun gaming experience. There is no magical formula on how to make a succesful game. Some developers invest lots of time and resources to make a decent mobile game, but still struggle to catch people’s attention. However, there are a few crucial storytelling elements that every mobile game designer should consider. If you have decided on making storyline games, then you must have a tight story what people can relate to. Plot is the foundation. In mobile games we’re not writing books, scripts or even scenarios for PC games. Concentrated content is your main goal. A simple, yet meaningful plot, involving lots of gameplay is how mobile games should be built. Minimal dialogue is better than huge chunks of monologue. We are not reading a chapter of Crime and Punishment here. Sleek and minimalistic is the way to go. That doesn’t mean your dialogue should be primitive in vocabulary. On the contrary, your text should always have some kind of flavor, every character should be revealed through different ways of speech and expression. People have an instinct good dialogue, and if it’s unnatural and awkward, they’ll notice it right away. Characters have to be relatable and interesting, not too overwhelming. Better to have a few vivid and memorable characters than a horde of pointless plot-fillers. Tight characters with defined features and clear purpose make storyline games more meaningful. The best story games are told through interacting with surrounding environments. It’s the case of walking into a room and finding messages scribbled on walls, opening secret letters, finding out information through eavesdropping, or hacking a terminal to get a password. Some things can be told without text, through atmosphere, objects, colors and various hints. For a long time mobile games have lacked stories, and developers were sort of reluctant to add them. Most likely because people didn’t expect narratives in smartphones – they were happy just shooting and setting up high scores. It’s difficult to say when the change happened, but it seems like narratives are becoming a common thing in mobile games. Stories definitely do not guarantee success, but it is a way to grip the player attention and give meaning. Having a good storyline makes people return to the game even if they have lost interest in it. Curiosity is what makes people get back for more and more.